Estimated to be about 600 million years old, Ayers Rock is now officially called Uluru, its Aboriginal name. It was named Ayers Rock by William Gosse in 1873 after Sir Henry Ayers, who was the Chief Secretary of South Australia at the time. It has been home to Aboriginal people for at least 20,000 years. Its indigenous owners, the Anangu, believed that they are the direct descendants of those who created the features in the surrounding desert landscape and the living things that reside there. They regard themselves as the ones who are completely responsible for the protection and maintenance of these ancestral lands. 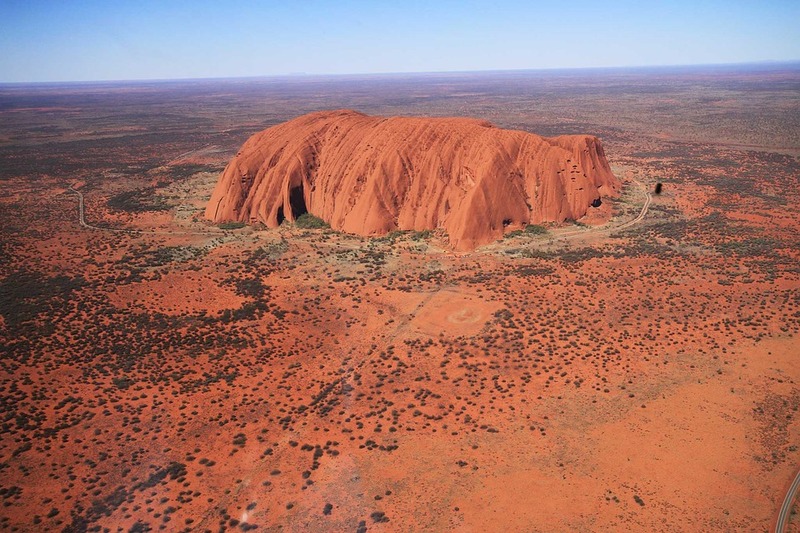 In 1985 the Australian government handed back the title of the rock to the Anangu people on the understanding it would be leased back for a period of 99 years and jointly managed. It was at this point that the rock was known by the joint names. Uluru would originally have been sat at the bottom of a sea but now is found 348m (1,142 feet) above the flat desert and 863m (2,831 feet) above sea level. It has a circumference of 9.4km (5.8miles). The visible part of the rock is just the tip as most of it is housed underground. Throughout the day it appears to change colour, ranging from brown and pink to a fiery red and, at times, mauve. Around 400,000 to 500,000 people visit Ayers Rock/Uluru each year.